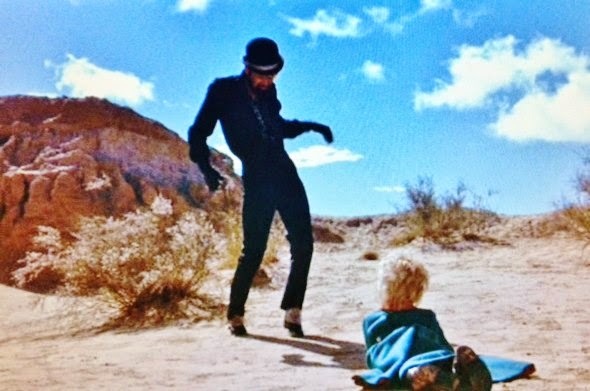 Stanley Donen once claimed he didn't really know how to make a musical film. It took him 25 years (and more than a few classics), but with The Little Prince he may have finally proved his point. It was another multi-million dollar merger of talents (mostly past their prime) that Hlwd overpaid for inevitably disappointing results. The once golden brand of Lerner & Loewe seemed as over as Martin & Lewis, but Lerner managed to lure Loewe out of retirement in '73 to expand their score to Gigi--a misguided effort to revive that Old Bway magic. It was a light assignment; just a few new melodies. But once back, Lerner sunk his hooks into Loewe for Prince--which on paper looked like a real coup. The paycheck may have been nice, but little else could have made Frederick Loewe happy. As for Alan Jay Lerner, this was the end of the line in Hlwd. After Camelot (well, after Loewe really) Lerner had the anti-Midas touch--which only intensified on Bway thruout the '70s. 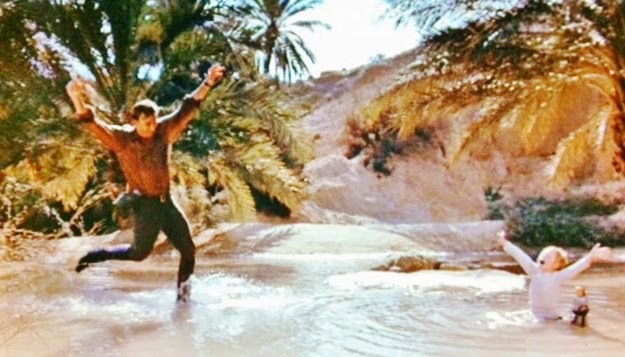 Donen produced and directed the film for Paramount, as a "prestige" project greenlit by Robert Evans. But Paramount had a surfeit of prestige in 1974; no less than three of the five Oscar Best Pic nominees: Chinatown, The Conversation and the year's big winner, The Godfather Part II; as well as Murder on the Orient Express, The Apprenticeship of Duddy Kravitz, the Robert Redford-Mia Farrow Great Gatsby, Peter Bogdanovich's Daisy Miller. All of them earned Oscar nominations, as did The Little Prince--if only in the music division. Lerner, who won his first Oscar in '52 for An American in Paris, got his (and Loewe's) final noms for this score and their title song. Yet both decried the studio's treatment of their material, when in truth the scoring and adaptation sound very much like previous L&L soundtracks. More to the point: were they the right choice for this material? And so it goes. "Be Happy" is repetitive and sappy; "I'm On Your Side" a retread of "Come Back to Me" from On a Clear Day; "You're a Child" echoes Gigi's "It's a Bore"--which by this point was my feeling. The score isn't inspired; it's imposed upon the source--an established style at odds with such ephemeral material. Stanley Donen hadn't directed a musical since Damn Yankees in '58, and it was hard to integrate L&L's musical rhythm into his familiar style. Donen was a dancer, and there was little choreography here. He had a rather enchanted career. As a 16 year old chorus boy in Pal Joey, he first befriended Gene Kelly, and thru George Abbott quickly moved into Best Foot Forward, which brought him to Hlwd. 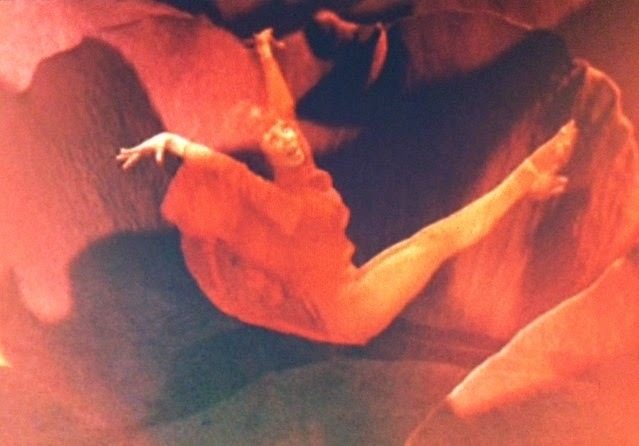 By twenty he was choreographing musical numbers at MGM and Columbia. He and Kelly were given co-directing chores on On the Town, and he was thereafter a bonafide Hwld director, together with Kelly (on Singin' in the Rain and It's Always Fair Weather) or on his own (7 Brides for 7 Bros. and Funny Face) or as camera-expert now to Abbott (The Pajama Game & Damn Yankees). At the end of the '50s, Donen retreated to England for a decade and made stylish thrillers and comedies instead (Charade, Arabesque, Two for the Road, Bedazzled). It's hard to think of many others whose credits are so inviting of envy--just to have been there! Returning to California after a dozen years in England, Donen respected Bway talent and cast the movie more out of NY than Hlwd. A surprise choice for the Aviator (and Saint-Exupery stand-in) Richard Kiley, had a lengthy and varied resume in TV (a frequent player in '50s live dramas) some movie roles, but made his biggest impact in a handful of Bway musicals. With Kismet in '53 in which he played the Caliph, he grew into one of Bway's most coveted leading men; holding his own against Gwen Verdon in Redhead and Diahann Carroll in No Strings. But that was just prelude to his greatest role: Cervantes/Don Quixote in Man of La Mancha. More actor than singer, he nonetheless was the very first to sing "Stranger in Paradise," "And This is My Beloved," "The Sweetest Sounds" and "The Impossible Dream." Fitting that his first leading role in a movie should be a musical. 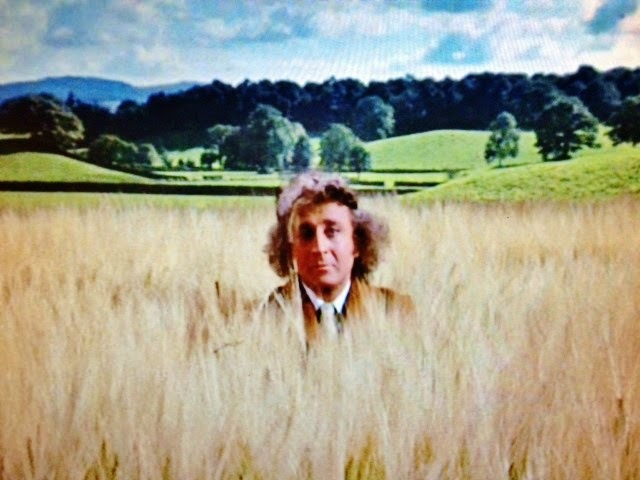 Five of the film's ten songs are his. They're mostly, unmemorably, pleasant--including the Oscar nominated title song which strives for the gravitas of "Gigi" but falls far short. But a ditty called "I Never Met a Rose" is the one (& only one) that perks up my ear each time it bursts thru the L&L-lite aural landscape. (Apparently Lerner hadn't exhausted his botanical verses with "Hurry, It's Lovely Up Here.") It wouldn't have hurt if a Gallic whiff had remained, but there's not a hint. Lerner had worked with Yves Montand and Louis Jourdan before, either of whom were (perhaps better?) suited for the Aviator. Not that there's much to fault in Kiley's performance--but neither is there much to get excited about. scampering across the fields and woods like the star pupil in improv class. But his presence only partially explains why his song, "Closer & Closer & Closer" sounds more like a Mel Brooks attempt at Lerner & Loewe than the real thing. 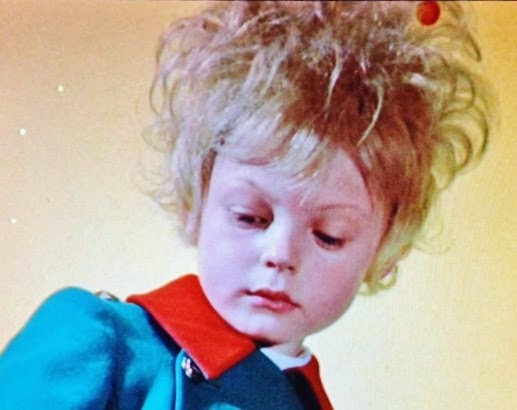 Playing the Prince is one-shot tyke, Steven Warner--whose lack of polish lends weight to his innocence; but he's not very interesting to watch, and is done a terrible disservice by his absurdly designed and maintained bouffant. 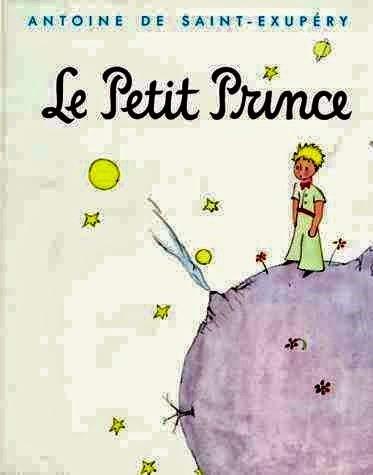 Saint-Exupery's child-like illustrations, which are inseperable from his text, barely suggest a visual style for a live-action film. Donen's approach with British cinematographer, Christopher Challis (who shot Chitty Chitty Bang Bang, Two for the Road, and Michael Powell's Tales of Hoffman) wasn't particularly inspired. 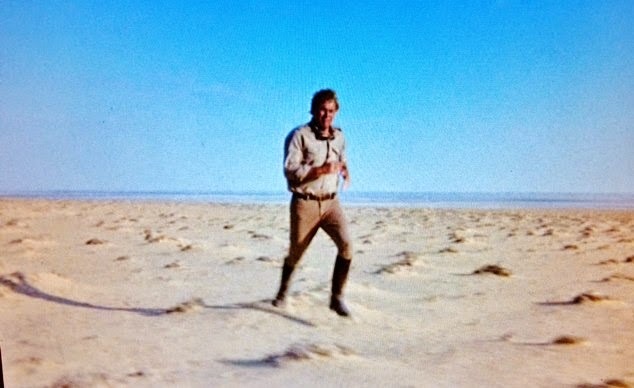 Much of the film was shot in Tunisia--since most of the story takes place in the Sahara--without quite capturing the majesty of Lawrence of Arabia, tho Kiley & Warner seem to cover as much territory with their marathon treks thru the desert. Accompanied by Loewe's sweeping score, they walk more than a day to find water. Each time the li'l Prince disappears, Kiley rushes frantically about terra that's barren and visible for miles in every direction--never mind the foolish danger to his stamina, what's the point? 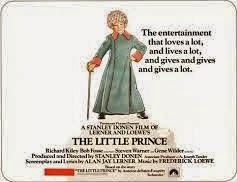 Little Prince was the '74 Xmas attraction at Radio City, but I didn't get to it until January--by which point its future as a children's movie classic, or Lerner & Loewe jewel was negligible. By then a visit to Radio City almost guaranteed a big studio mediocrity with a tired stage show--unless you were happy pretending it was 1958--which I admit I sometimes was. I was certainly ready for some lightweight enchantment after spending the afternoon watching Gena Rowlands tear her guts out in Woman Under the Influence. But this was just as dispiriting--another nail in the coffin of film musicals. 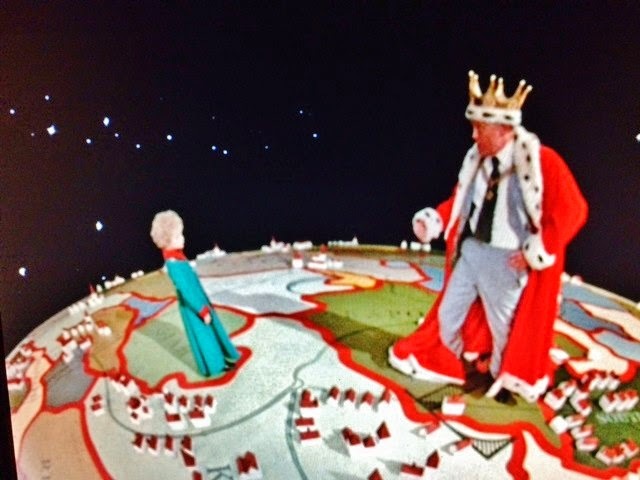 Little Prince would've been better off as a TV special, which might not reach anywhere near the hundred million who watched R&H's Cinderella in 1957, but would still have found a far bigger audience than the movie, and cost a lot less. I've had no reason to watch The Little Prince again until now. I doubt I shall ever have reason to again. After this, Loewe retired for good, but Lerner plodded on. Having exhausted his clout in Hlwd, he still drew top collaborators on Bway: Leonard Bernstein, Burton Lane, Charles Strouse. But as librettist he was consistently striking out; until his death in '86 he never stopped trying. Donen made another four movies in Hlwd, including one half musical; Movie, Movie, a double bill parody featuring an old-fashioned boxing melodrama and a '30s mega-musical--with a cameo by my beloved Barbara Harris. Tho he, and Vincente Minnelli are most often cited as Masters of the Movie Musical--Donen remains somewhat under the radar in the pantheon of Hlwd directors. He did receive an honorary Oscar in 1998, tho he'd mostly retired in '84 at the age of 60--and is still alive at 90. Presumably thriving on laughter as medicine--as he's living with Elaine May. 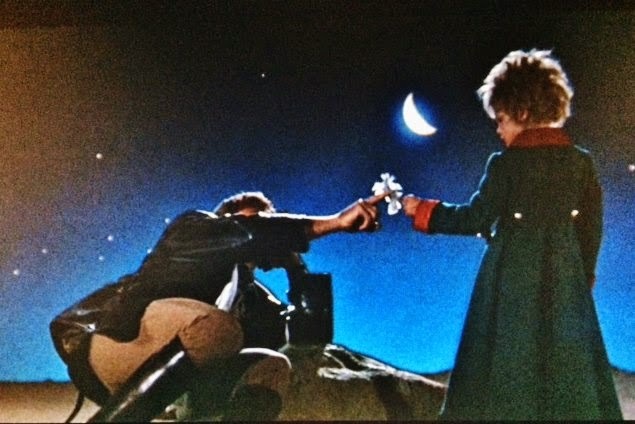 At the time of Little Prince he was married to Yvette Mimieux. Well, why not? There aren't a lot of directors whose ouevre hits me in my glamour spot. Between the talent and genres Donen got to work with, and the abundance of fabulous movies over a forty year career, there are few whose shoes I'd rather have walked in. which started the season off in September. In those ancient times before computers, before credit cards or phone orders, getting tickets meant queing up hours before the theater box office opened, and slapping down hard cash. I made sure to get opening night orchestra seats, for what I fully expected to be another magical evening in the Winter Garden. I was not disappointed. 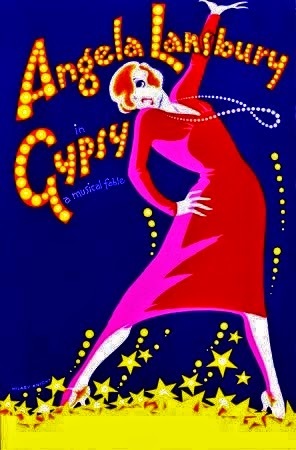 Not only was Gypsy finally elevated to classic status, but Lansbury proved there was life in Momma beyond Merman. She was spectacular; the ovation for "Rose's Turn" was very near hysteria. That night will remain in my top ten theatrical experiences. 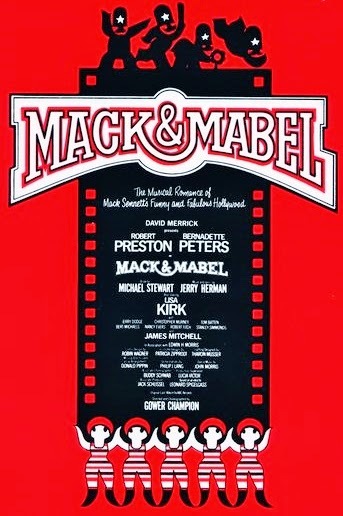 Not in that league, but affectionately remembered as well, was Mack & Mabel. Another Opening Night in orchestra seats! I was getting used to rubbing elbows with personage in the environs of Bway, but this was the first time I shared space with Shirley MacLaine (who for half of my life by then had been my favorite film star). I barely registered the many others except for Peggy Cass--who was directly ahead of us, as Bill & I crashed backstage after the show--and who pointed me to take a long gander from the wings into the aptly-named Majestic Theater (home of so many Golden Age hits)--my first view from a Bway stage. We also glimpsed Bob Preston in his dressing room, saw a flash of Bernadette's corkscrew curls, but mostly inched our way thru narrow backstage hallways, pressed like rush-hour subway passengers, only garbed in evening wear. Or as Peggy Cass cracked to me, "Geez, I wish I'd worn my jeans." It was that kind of an opening. Surprisingly neither the critics or public took to the show. I returned for second look before it closed two months later, and thought it just as entertaining as Mame or Dolly. Any show with Preston and Peters in top form--as well as Jerry Herman--has a lot going for it. There was a sensational revival of Cat on a Hot Tin Roof with Keir Dullea and Elizabeth Ashley, which I saw from the front row; and Rex Harrison & Julie Harris putting a varnish on a tame Terrence Rattigan play, In Praise of Love, which got us thru New Year's Eve. But not much else that was memorable. It seems fitting I would greet 1975 in Times Square--the year, Bway & I would join forces!--and the only time I'd ever again venture into that throng of midnight revelers. On his Wall Street salary Bill could buy new furniture for our new apartment on 83rd St.--and did--to furnish his room; while mine was improvised from bits & pieces. Bill also got a new 19" color TV (which seemed enormous then--I had a 10" B&W portable) and got HBO as well, which was in its infancy and played mostly recent movies. But now that we lived without elder supervision, we also become homebodies. Despite the many cultural opportunites at our feet (and we saw plenty of films & theater) I was no less rabid for TV. 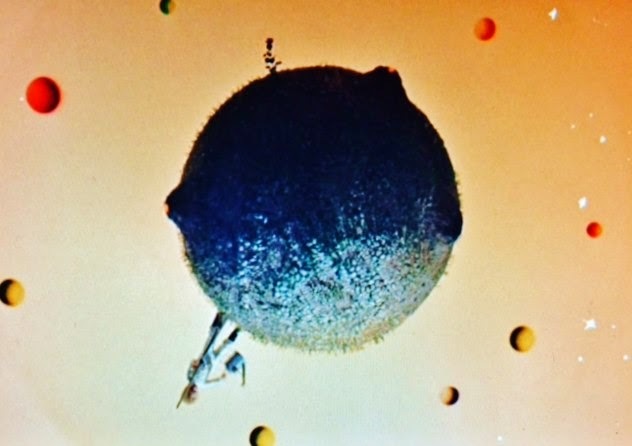 The Fall '74 season was dominated by shows from either Norman Lear (All in the Family, Maude, Good Times, Sanford & Son) or MTM (Mary Tyler Moore, and its new spinoff, Rhoda; Bob Newhart--and another new one called Friends & Lovers, which starred Paul Sand (who I later knew) as a Boston cellist, and tho quite delightful--was soon cancelled and replaced by another Lear franchise: The Jeffersons. Staying in on Saturday night was another trait of true New Yorkers, but it was tempting all the more with CBS's dynamite lineup, which followed Family, MTM & Newhart with an hour of Carol Burnett at her prime; a weekly revue once a staple of Bway that had long since migrated to the tube. This was still in the day of three networks and a few local stations, when primetime shows on Saturday night were not only economically feasible but actually popular. Nowadays Saturday is (wrongly) considered a dumping ground and programmed with throwaways and reruns. Back then it was Gold. Burnett, more than her idol and predecessor, Lucy, was a real stage clown--who took her vaudeville to a larger audience via TV; but she always seemed to me a true Bway Baby. Nurturing my own Bway dreams, I reread Moss Hart's Act One, and eagerly devoured Harold Prince's new autobio, Contradictions, the moment it came in to Brentano's. (Prince's Bway career rivals Donen's Hlwd résumé.) His youthful chutzpah (snagging George Abbott--who also launched Donen--as mentor) emboldened me to sit down and write Prince a letter asking for a job, with only my passion, devotion and college experience to recommend me. A few weeks later just before my birthday in December, I received a reply. 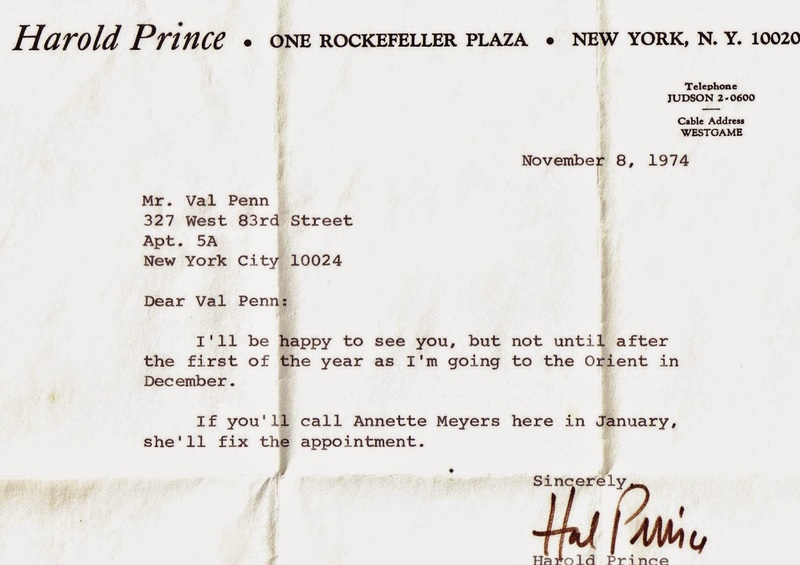 I braced myself for a form-letter rejection, but no; Hal requested to meet at his office in Rockefeller Center after the new year. Tho I could hardly believe it, I also thought, yes; this was just how it should be! Surely I was fated to start my life in the theater working for Bway's top producer/director. And all it took was asking. Standout Number: "Snake in the Grass"
Oscar noms: 2, Scoring, Song "Little Prince"